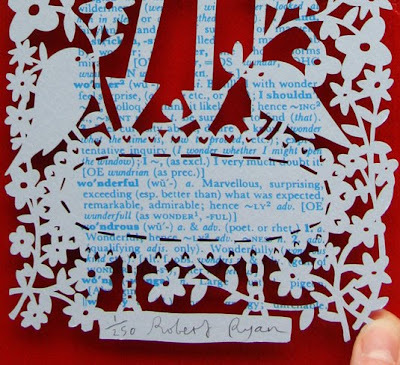 Rob Ryan produced a limited edition of these lovely lasercut valentines. They were screenprinted in an edition of 250 and were available on Etsy for a mere nanosecond. After the first run sold out so quickly, he did a red edition and those flew out the door too. Gotta love it!